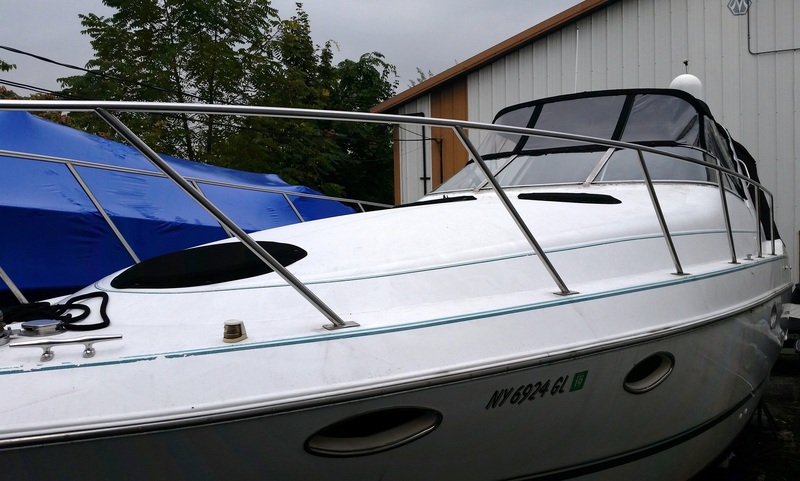 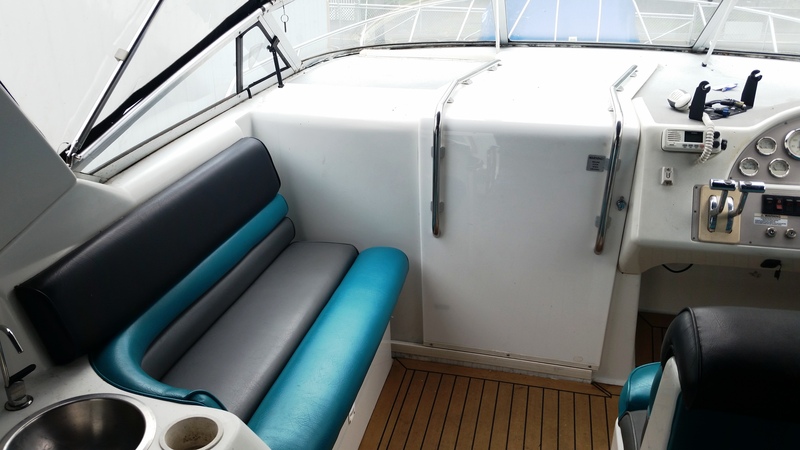 A Popular 1990s Express – Chris Craft made good on promise of affordability, performance. 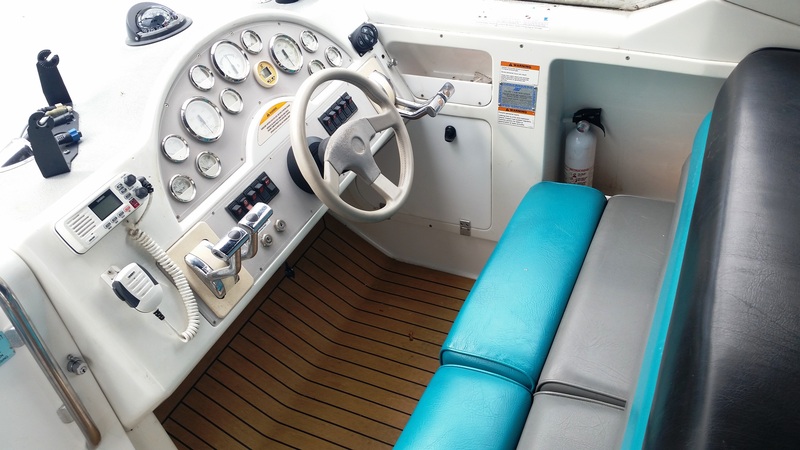 Standard cockpit features included wet bar, radar arch, transom door, power engine hatch. 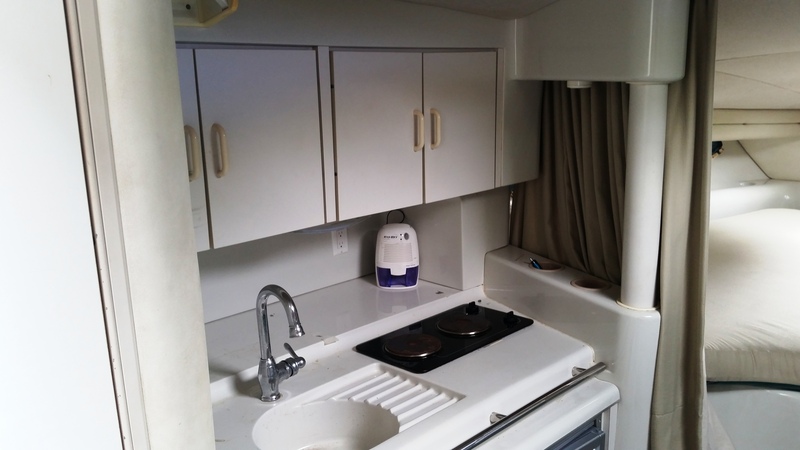 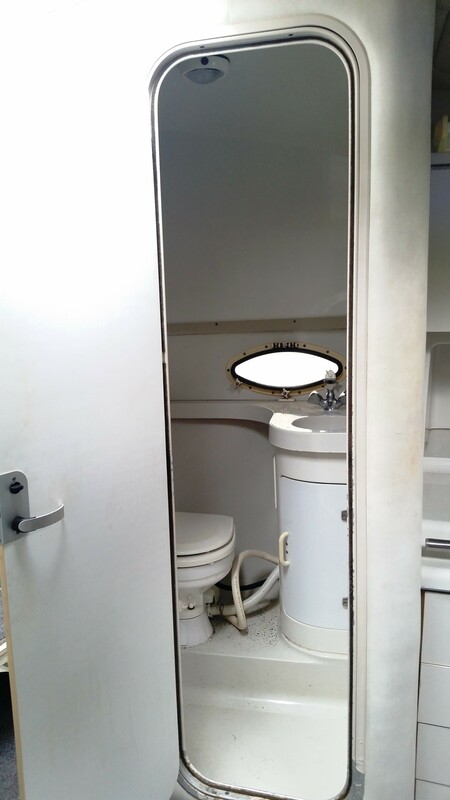 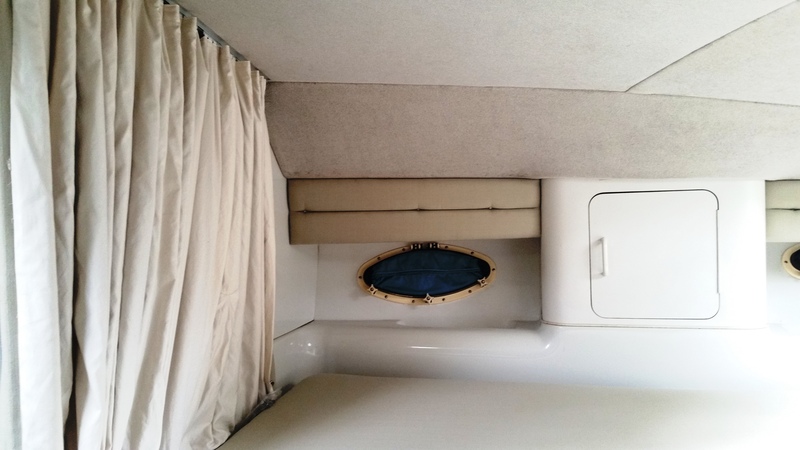 In 1995, the designations were changed with this inboard model now called the 34 Crowne. 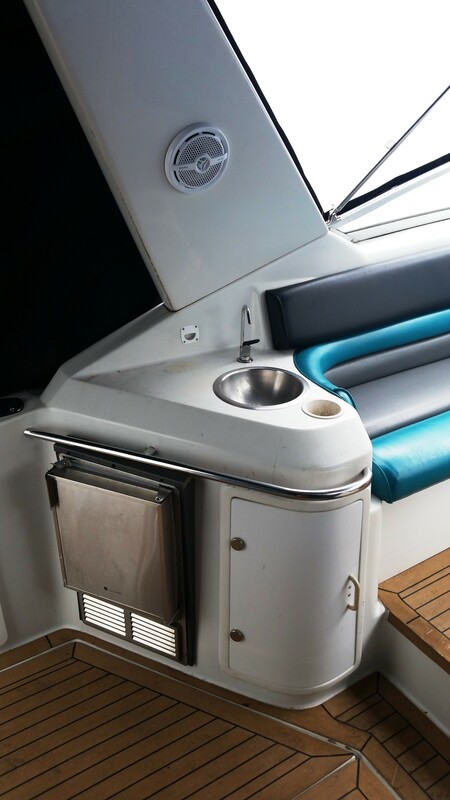 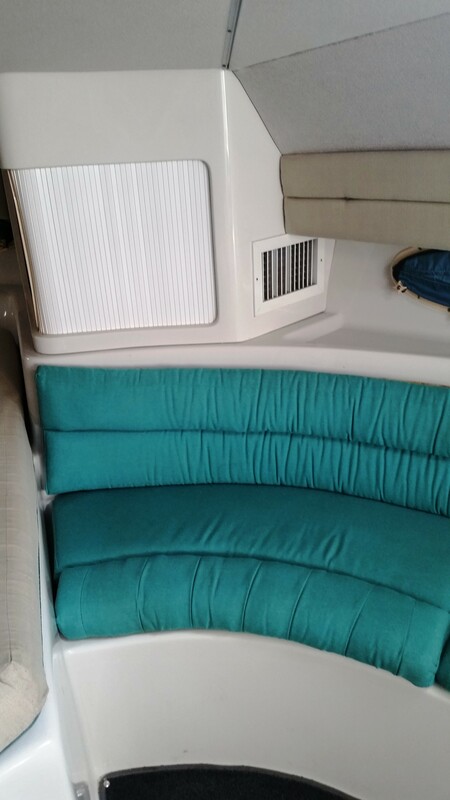 All were built on solid fiberglass hulls with moderate beam and a fully integrated swim platform and bow pulpit. 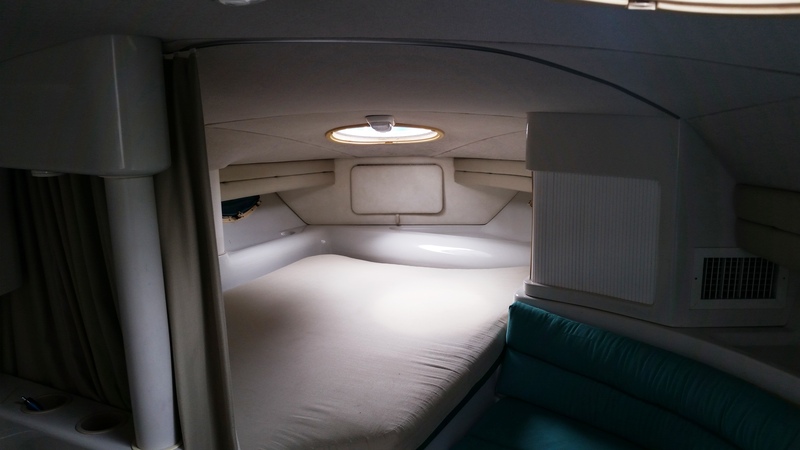 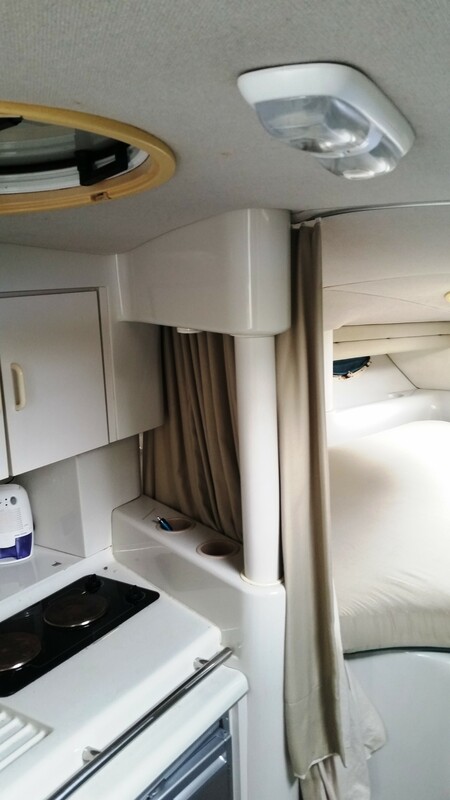 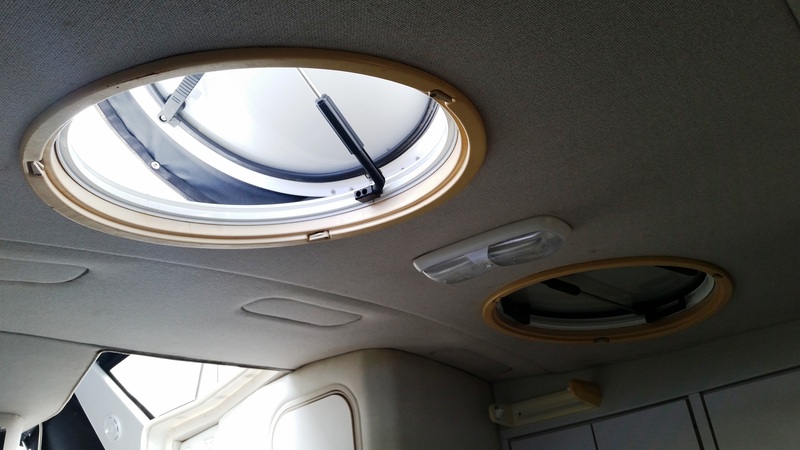 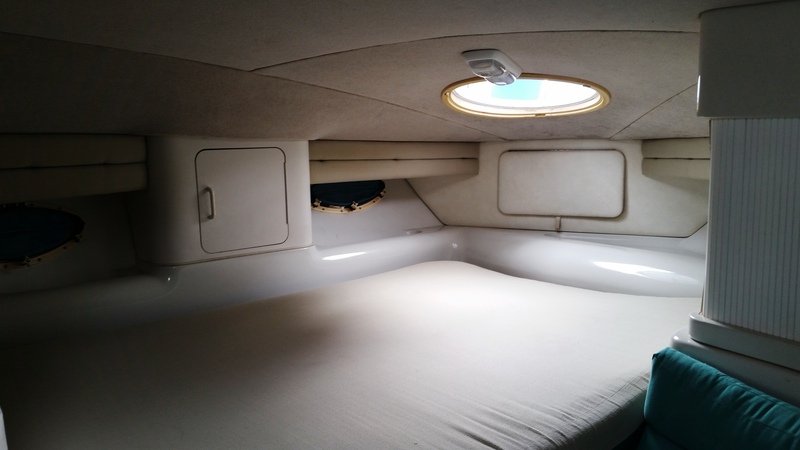 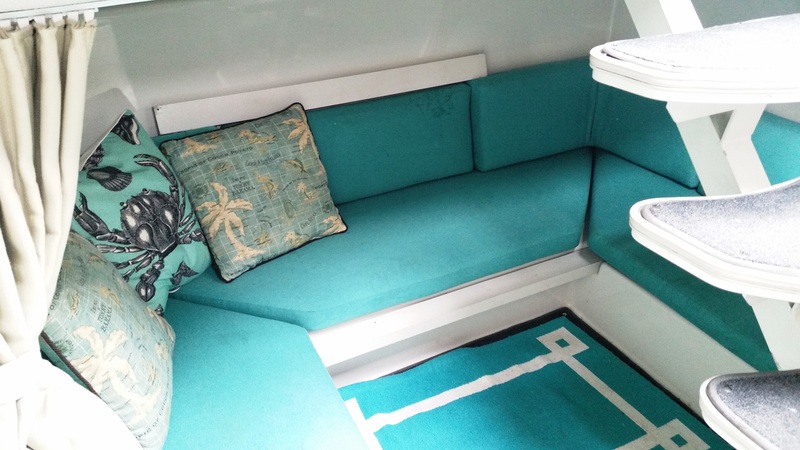 A centerline companionway leads down into the Crowne’s spacious interior where the Mid-cabin Floor plan will sleep six adults. 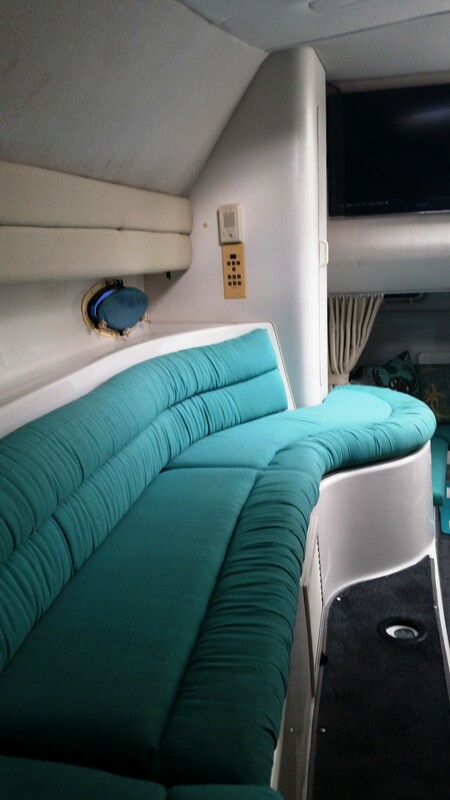 A curved settee—elevated from the salon sole—dominates the main cabin, and the fore and aft sleeping areas both have privacy curtains. 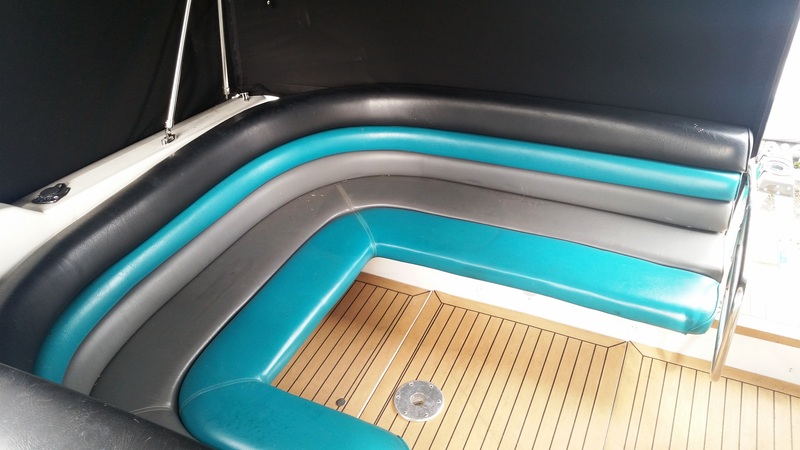 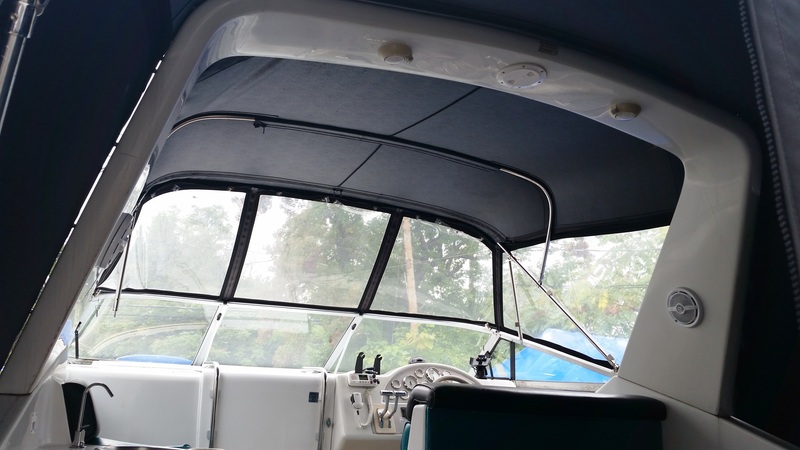 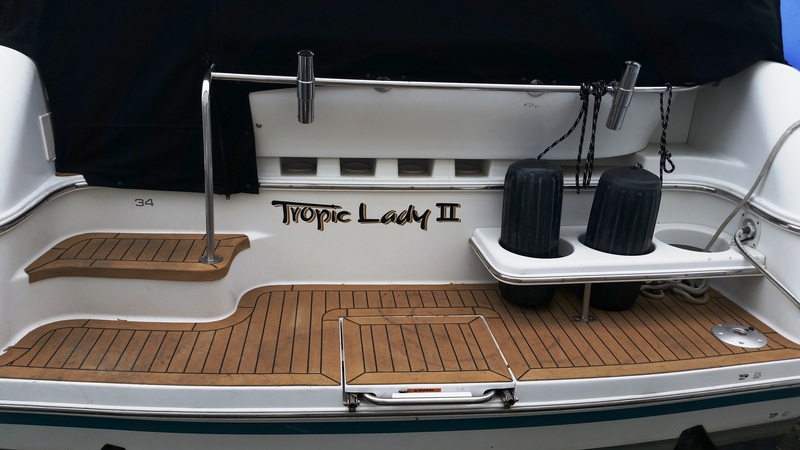 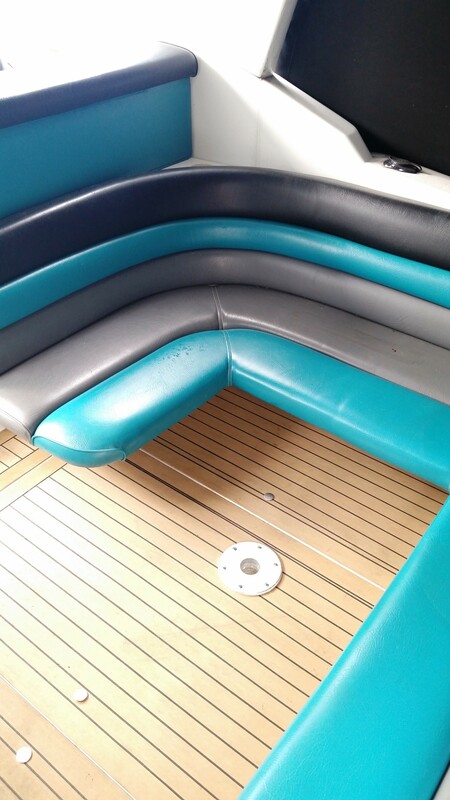 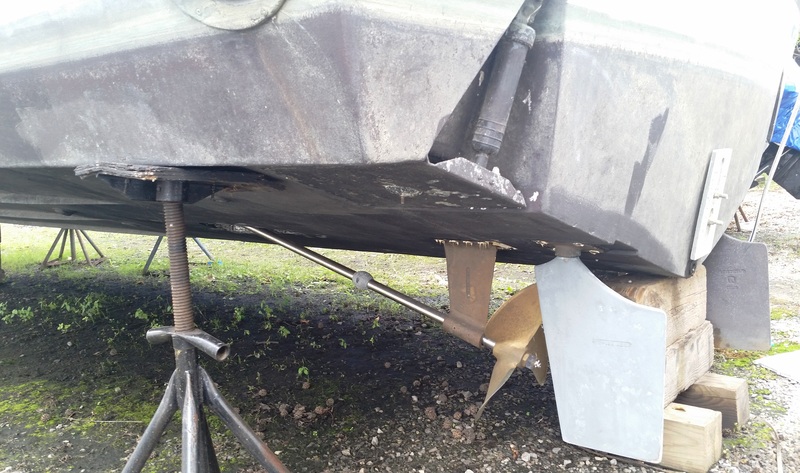 Additional features are a wide swim platform with fender racks, oval ports, and (in the 340/34 model) side-dumping exhausts. 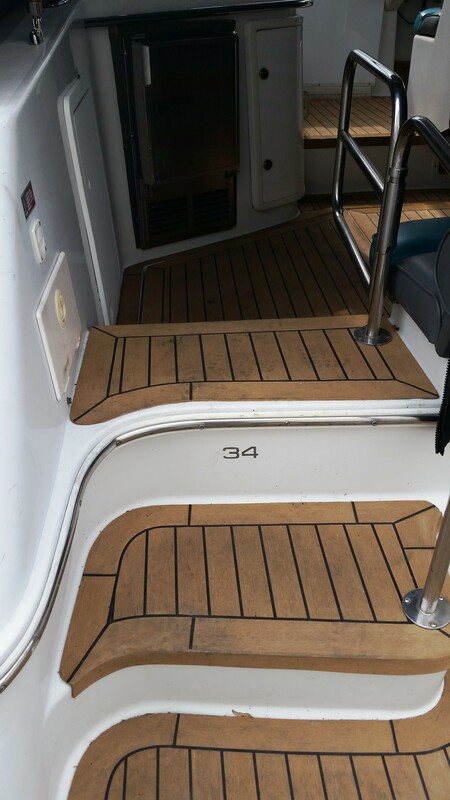 The 340/34 Crowne with 300hp Volvo inboards will cruise at about 25 knots. 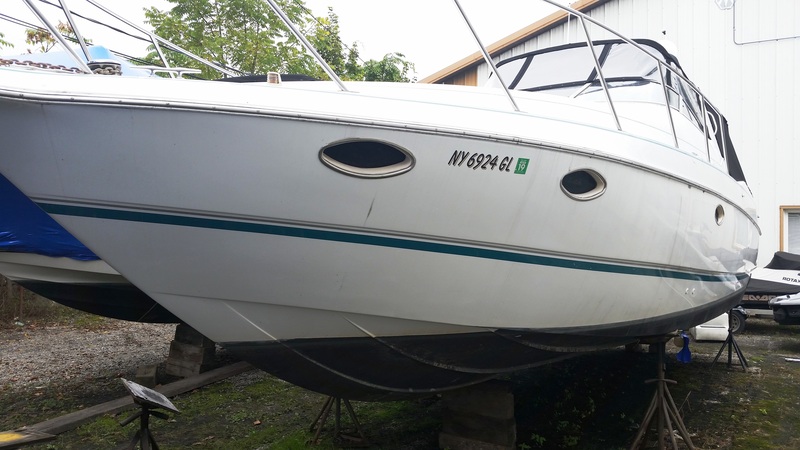 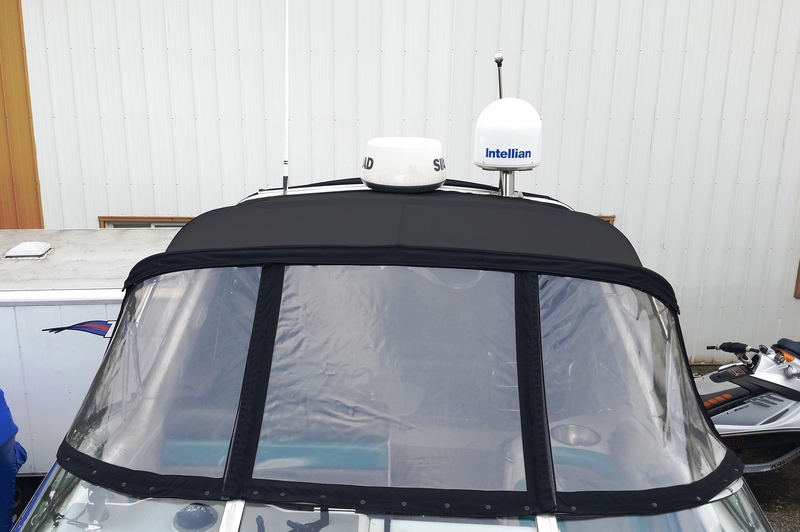 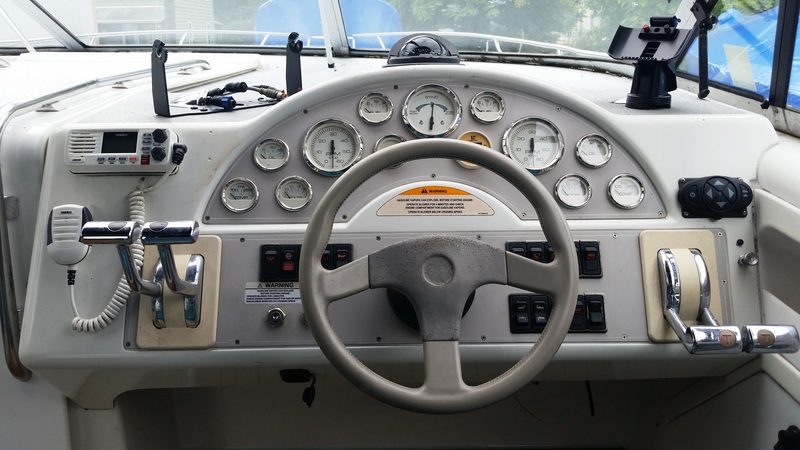 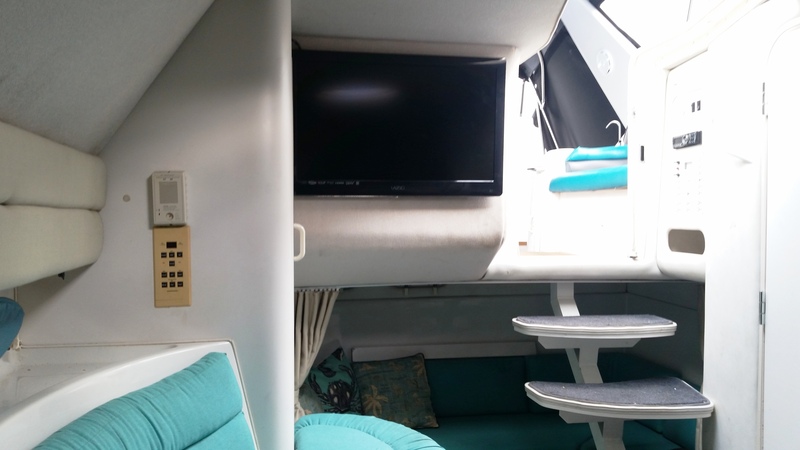 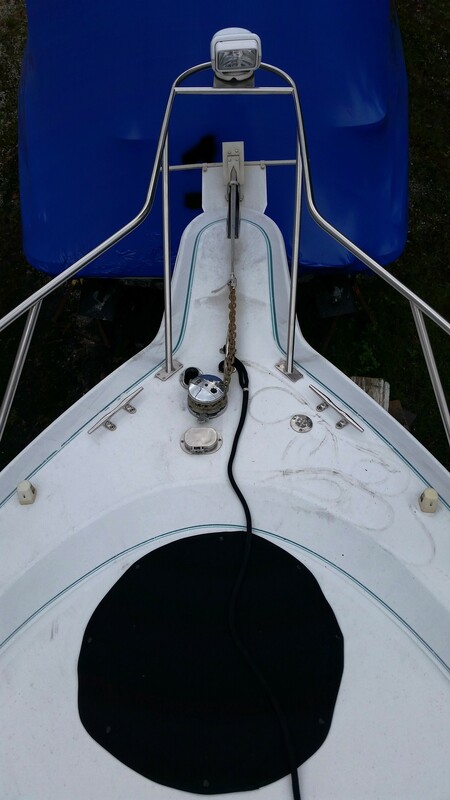 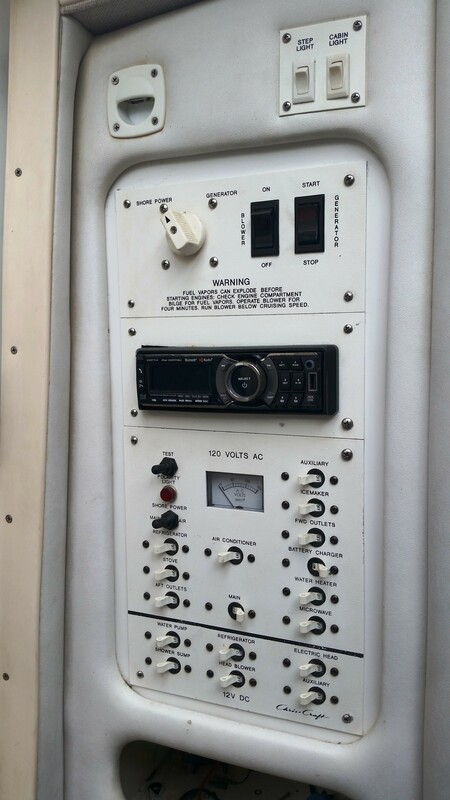 Compass, VHF Marine Radio, Depth Sounder, Radar, (Color) GPS/Chart plotter, New electronics installed in 2016, including Sat TV.